Jim, from all the info I could find I used the original sized seal. for the 30 spline, I believe the seal is a different part number. I am currently building a 32 spline front output 205 and that one is different from the 10 spline. I will try to get all the info up for you. On an interesting note about the front output yokes, I am using a 1350 yoke that came off a NP208. On the silicone, you can put it on right away. The key is more in cleanliness. You don't want any oil residue or contaminates where you are applying silicone sealant. You will want a clean surface for the sealant to adhere to. Just finished my NP205 rebuild out of my 1993 Dodge W250 Cummins truck. This thread was an absolute necessity...and I appreciate the time that was taken to document everything. Bar none one of the best rebuilds on the net!!! Hey thanks on the great rebuild visuals! I had one tore apart for months and reassembling a couple of parts was kicking my behind! Thanks again. Has anyone torn into their NP205 and found that the idler gear shaft only had one shim in it instead of 4? I pulled mine apart this weekend and it only had one shim. Mine only had 2, some i have done had 3 or 4 and different thicknesses. Just looked at the NP205 thread, What a great job on that! I have a 1984 GMC 1 ton 4x4 transfer case stuck in low range or neutral. Can move the low and neutral pin with a pry bar to chance them but Can't get the lever to go to 2 wheel or 4 high. Now I am wondering if maybe the detent balls are out of place or if it has a broken spring in the one shaft that won't move, Any chance that can happen? My linkage is defiantly different than that one in the pic. That looks like a nicer set-up. 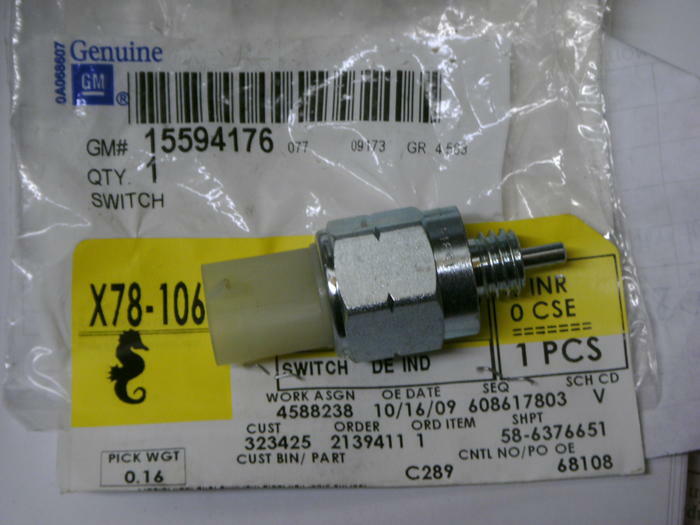 I dont know what year GM started using the 4WD switch, but if yours has that, then I would check to make sure that isn't the culprit. On the 205 you can also remove the PTO cover and gain easy access to your HI-LOW shift fork. Both rods have to move to the NEUTRAL possition for the t-case to be in NEUTRAL. Does the LOWER one move at all, or only the upper? Last edited by jbclassix; 08-04-2014 at 05:20 PM. On the 205 you can also remove the PTO cover and gain easy access to your 2HI-4HI shift fork. Both rods have to move to the NEUTRAL possition for the t-case to be in NEUTRAL. Does the upper one move at all, or only the lower? When you say PTO cover is that the cover straight out the rear of the transfer case? The truck seems to go into 4 low and a neutral but the shifter just don't feel correct but it will move in 4 wheel low. Upper rod I can move in and out with a bar but I can't get the bottom one to go either way. The PTO cover is the 6 bolt rectangular cover on the oposite side of the front output. another suggestion is to jack up the front and rear end to take any torque off the drive line, then try shifting. I did jack up the back end and tried that but not both ends, I will give that a try. Looked last night and can't find any tags but it does look a lot like yours. Did try to get my hands up on the top and can only feel one bolt for a detent ball, Is that possible. Also, What do you mean by the GM 4wd shift, Mine does have the stick on the inside floor. This is the switch I am talking about. I am researching to see what year GM started installing this in the t-case. It illuminates a 4WD indicator lamp on your gauges. This will be installed in in the plug for the lower detent ball. Now I really need to get a better look but mine does have a thing that looks like that but I didn't see any wires hooked to it and I am pretty sure that it is in the highest plug on the transfer case. Do the wires only work the dash lights? ...Do the wires only work the dash lights? Yes they do. I would really pull the PTO plate and have a look inside the case. That would give you a good idea of what direction to take. post some pics of the t-case and the inside. Jacked up both ends of the truck and got it off of the ground and still can't move the lever inside. Did take another look underneath and it has a lamp indicator plug like the picture in both of the detent holes and I can't find any wires for them. Tried to get my son to get a few pics but they didn't work out very well. I looked at the PTO plate and that is where the levers are for the dump box so I don't know what may come out of it if I take it off? Any chance that you think that maybe the detent ball switch pin could be holding the shaft from going back in? Still didn't find any wires that would go to it. Last edited by woodsrat; 08-14-2014 at 09:59 AM. You could try to remove both switches (I think there should only be one) and then try to move the lever. Both Have a Neutral so you have to find neutral before moving the other shaft. Make sense? Kinda like a manual trans. So there should be a neutral on both shafts out of the transfer case? So that tells me that maybe the lower shaft on the transfer case is maybe stuck in neutral since when I move the top shaft in or out with a pry bar the truck is either in neutral or low range. Do you have the linkage between the two rods? There are interlock pins between the rods, they prevent the rods from moving out of sync from each other. If you are in 4-Low, then both rods should move out at the same time to NEUTRAL. then the top rod should move out one more time to 2-HI, then the bottom rod should move out one more time to 4-HI. If you are trying to get the top rod into 2-HI with the bottom rod in 4-LOW then it will not go because of the interlock pins. I'm looking for a adaptor for a np 205 to a granny 4 spd ona a 71 any body no of one for sale? Need one before cursing the coast. Video looks good on this end! Yes I do have the linkage between the two rods. Each one is in each side and there is a single rod between the two in the center to the shifter linkage. Maybe I should remove the front driveshaft then try to disconnect the linkage and try to move it the way that you did in the video? Had some more time again so I went back under this thing again. Removed the front drive shaft to get into the shafts a little better then removed the lower detent switch (spring and ball) and still can't move the shaft at all. Shift bar and linkage look different on mine, Hook is on the lower shaft and cross over plate is a pin type linkage on mine. Last edited by woodsrat; 09-25-2014 at 02:48 PM. Brother-we are going to need some pics if we are going to get this thing fixed for you. Ok, Since the drive shaft is now off I will try to get some better pics this weekend to see what you guys think. May need to send someone the pics since I don't know how to post them.